She'll flash a vintage vibe on the playground. 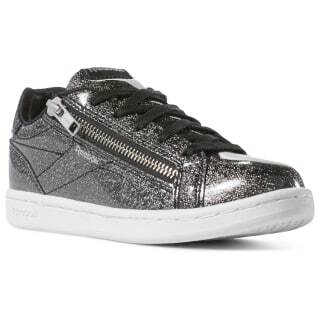 These girls' shoes have a shiny upper for a bold, fun look. The zip closure makes them easy to get on and off. The durable rubber cupsole and outsole are made for play.